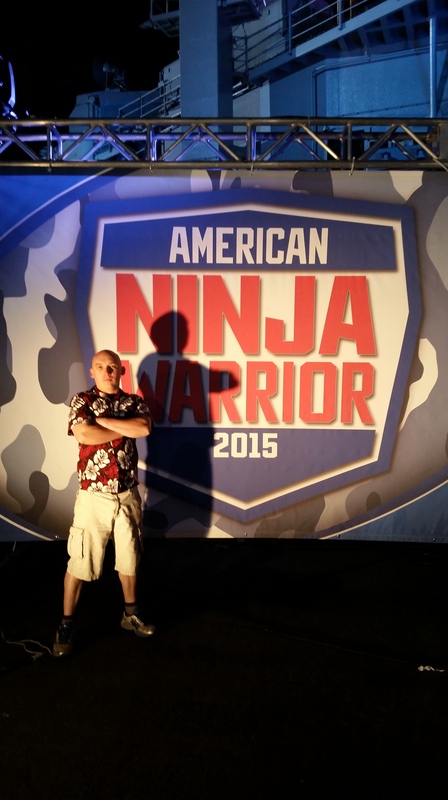 I have to admit, I’ve become something of an American Ninja Warrior addict over the past six months. It’s a difficult confession to make, in some ways, with how much work I’ve got to do and how little free time, that I’m watching two hours a week of one television show which is in many ways the latest evolution of reality television. Yet, I think the show really does have something, at its roots, that is both inspirational and exciting, in a way that reality television and sports television fundementally aren’t. This show isn’t about people degrading themselves or backstabbing each other… they’re building themselves up and building a community around facing challenges. Yes, these challenges are of the physical sort, but there are mental and even emotional challenges involved. Watching this season of American Ninja Warrior is a testament to the drive and dedication of common, everyday people. These aren’t professional athletes with million dollar contracts and massive insurance policies, they’re plumbers, electricians, stockbrokers, and doctors. They are people who spend their free time preparing themselves, and in many ways, they exceed what professional athletes manage when they try. Almost every olympic athlete and professional athlete washed out in the initial rounds. The handful that made it through to the city finals did not continue to Las Vegas. The show does a great job showing people to root for… it builds up their back-story, and the people we see go at these challenges as they grow more complex become heroes in a story that is all the more powerful for the fact that they write it themselves. It is an uneven contest, I’ll admit, with obstacles being both changing and more elaborate, some of them it seems at the whim of the creators. Still, when I see someone succeed where many have failed, it makes me inspired to work harder at my own challenges. Some of the contestants this year have accomplished things that no one has before. It’s exciting to see such successes and I look forward eagerly to see them succeed even more (I hope) next year. So yes, I’ve spent, in effect, something to the effect of 24+ hours watching American Ninja Warrior… but I’ve also been inspired, rejuvenated, and I feel more willing to take up the challenges in my own life. And that’s a pretty damned good accomplishment for a TV show.